I have (finally) created a Google Scholar profile. Please see here for my profile. I will be traveling to Vienna (Nov16-19) to moderate a panel at the Hidden Champions in Central and Eastern Europe (CEE) and Dynamically Changing Environments. The focus of the panel will be on designing collaborative alliances for sustainable innovation. I will share results from two of my prior project, I4I (Ideas for Innovation) and Intraprenuership. This conference is hosted by CEEMAN (Central and East European Management Development Association) and IEDC-Bled School of Management and in cooperation with RABE-Russian Association of Business Education and Polish Association of Management Education FORUM. The event will take place at the Austrian Federal Economic Chamber congress center. 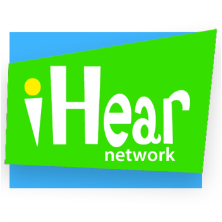 I have entered into an agreement with the management team of iHear Network to join their advisory board. I am excited to help iHear Network realize their vision of developing an innovative app for smart phones. The iHear app uses text-to-speech integration to connect users to relevant stories, news, and conversations. iHear Network recently appointed Paul Simons, a former University of Washington iSchool graduate student of mine, to serve as the CEO. Please click here for the press release - iHear Network Press Release. My latest book will be released in the Fall by the University of Toronto Press. As an employee, you suspect that your best ideas are valuable and could greatly benefit your organization. Management also recognizes that a company's ability to compete is contingent on how well it leverages its employees' ideas. So, why are individuals at all levels of organizations typically poor advocates for ideas? Intrapreneurship provides an engaging guide for both managers and employees on how to direct the flow of ideas and foster a culture of entrepreneurship within their company's existing structure. Based on my research and experience consulting with thirty global organizations, Intrapreneurship outlines ways to mobilize all types of ideas - including blockbusters with the potential to create radically new external products and services, and more incremental innovations for improving internal processes. With practical frameworks and real life examples for both employees and managers, Intrapreneurship will help you to identify the value in your own ideas and those of others to ultimately benefit your organization. You cannot stay competitive and lead your industry unless you mine the potential within your own organization. Desouza makes the case for identifying and empowering talent to steward innovation from within. Intrapreneurship will help you tap your company's greatest potential. We are an organization that has built a reputation for innovative products that are game changers. Innovation calls for tenacity and rigor. Intrapreneurship is filled with ideas and solutions that will enable you to build a robust innovation program that is embraced by every employee in your organization. It is a must read for executives who want to distinguish their organizations by their capacity to harness ideas in each and every employee. Read it, now! Intrapreneurship offers a fresh and timely perspective on how to harness – and not kill – the power of innovation that exists inside every organization – including nonprofits. In his book, Desouza masterfully weaves academic research together with real life stories across industries to show us how to foster innovation and turn the best ideas into reality. His fusion of innovation and implementation into a single, pragmatic intrapreneurship framework is where the magic happens. This book is a must read for employees and leadership alike whether you are trying to increase profits, save the world, or both. In corporate America, brilliant ideas that make it to market often seem like serendipitous events, and often they were. An idea found its way through the territorial land mines of the organization that more often sabotage innovation. In the world of annual capital budgets, large scale initiatives and dash boards that drive our incentive compensation, how do we as leaders foster a reliable and safe culture where innovation gets plenty of oxygen? 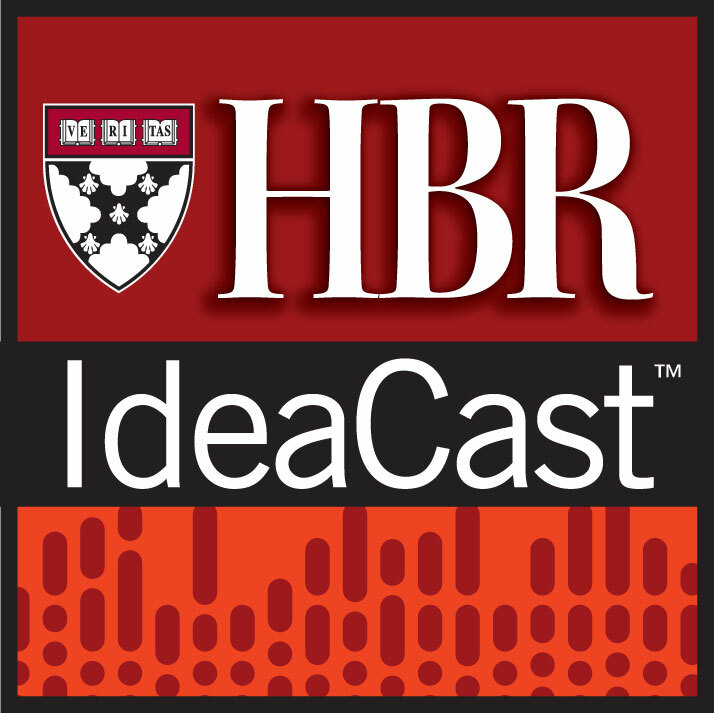 Desouza in Intrapreneurship provides an excellent framework to foster such a culture. More importantly, this framework calls us to be servant leaders, to be leaders that help our organizations harness the intellectual power of our employees and to say “we appreciate your ideas, we welcome your ideas, we make it possible for you to work on your ideas”. Innovation need not be a serendipitous happening. It can be baked into our organizations as a competency. Desouza provides us an excellent guide to help us build and nourish an Intrapreneurship competency in our organizations. Intrapreneurship is a driven from the bottom-up based upon employee initiatives. Desouza argues that ideas are at the heart of intrapreneurship. He richly illustrates his ideas from today’s businesses and incorporates theory to develop a roadmap from conception to products and services. The continuing process is: generation and mobilization, advocacy and screening, experimentation, commercialization, diffusion and implementation. There is no silver bullet, but a rationale organizational process. Desouza challenges the thinking executive to go beyond the usual organizational notions to a new way of thinking about how to realize intrapreneurship in your firm. Innovation is a key strategic priority for most large companies, and most executives today have realized they cannot just give responsibility for innovation to their R&D group or their business development team - they need to make innovation everyone’s job. But how do you do that? The evidence suggests most companies actually do a terrific job of killing off the entrepreneurial endeavors of their would-be innovators, through their standardized procedures and risk-averse mentalities. 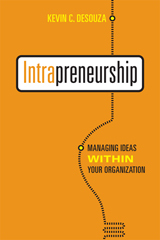 Kevin Desouza’s book, Intrapreneurship: Managing Ideas within Your Organization, provides the solution. He gives guidance to the people with bright ideas, to help them build support and get their ideas taken seriously, and he offers advice on how to manage and organize a company to give these would-be intrapreneurs as much support as possible. Drawing from his own practical experience as well as decades of academic research, Desouza’s book is a must-read in companies that care about making innovation everyone’s job. As competition intensifies globally, no corporation can afford to ignore the potential of corporate entrepreneurs, or ‘intrapreneurs’, to drive growth and continual renewal. Desouza provides a new look and important contribution to the field of innovation, and he does so in a way that should be of keen interest to executives, intrapreneurs and aspiring intrapreneurs across industries. Not only does Desouza explore new territory, he does so in a highly readable, applied manner drawing from both research and practice. Intrapreneurship will enable employees and managers to overcome typical, and costly, roadblocks faced when transforming ideas into commercially viable products and services. By proactively engaging managers and employees in the innovation process Desouza shows organizations how to successfully move ideas from concept through to implementation. Enabling them to harness the power of their own ideas to reduce costs, improve efficiency and generate new business growth. Desouza uses real world examples, personal insight and research to illustrate how it is done. Desouza’s book provides a pragmatic and realistic roadmap for transforming the way organizations generate and implement new ideas, internally and externally. The book provides a simple and reliable process for building Intrapreneurship as a core competency. Executives, managers and intrapreneurs will benefit from applying the principles and practices outlined in the book to achieve an innovation edge. ---Susan Foley, author of Entrepreneurs Inside, Managing Partner, Corporate Entrepreneurs, LLC. Are you frustrated with the fact that companies often talk about the need to generate and collect their employee’s ideas, but in reality they lack tangible tools and processes to efficiently leverage these ideas into real projects and products? Despair no more! In his new book Desouza shows us how innovative companies do not only promote generation of ideas, but encourage the entrepreneurial spirit of their employees by supporting their efforts to develop and commercialize their ideas, both internally and also externally. This book is a must for all managers who are struggling to design effective innovation processes and for employees who want to learn the science, and art, of pursuing ideas to their full potential inside their organization. 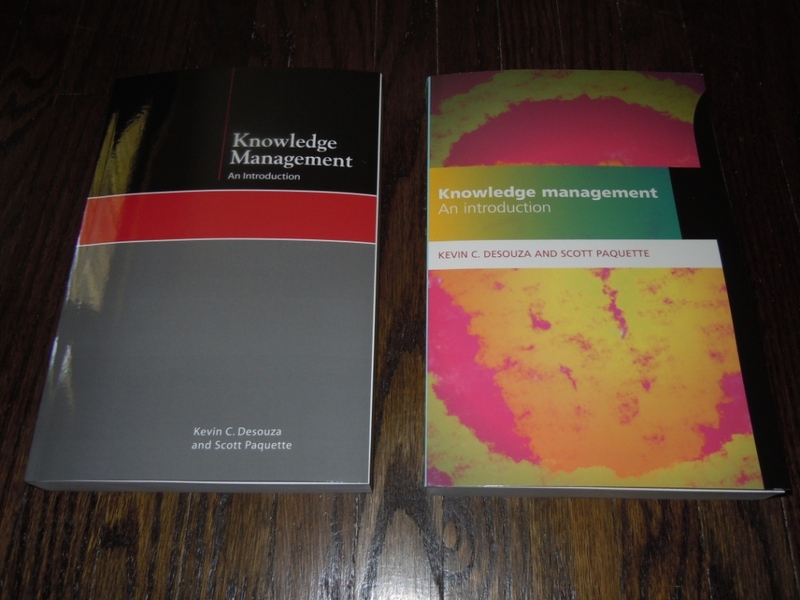 Desouza, K.C., and Paquette, S. Knowledge Management: An Introduction, New York, NY: Neal-Schuman Publishers, Inc., 2011. 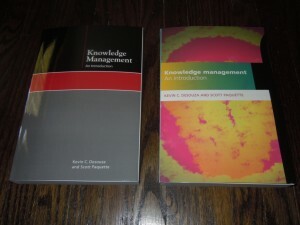 UK Edition: Knowledge Management: An Introduction, London, United Kingdom: Facet Publishing, 2011. My article with Nicholas D. Sweers II, Shh! It’s vive la re´sistance..., which was originally published in the Journal of Business Strategy, is featured in the current issue of Strategic Direction. 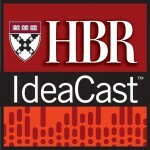 My third post on the Harvard Business Review site went live today. The post was written in collaboration with H. James Wilson and is titled, 8 Ways to Democratize Experimentation. Building on our previous post on experimentation, in this post, we offer 8 tips for organizations to consider as they try to infuse experimentation as part of every employee's work. Train employees on the basics of conducting experiments. Accept that experimentation is a messy and untidy process. Deploy organizational resources and assets to give employees the time and space to experiment with their ideas. Build a process whereby experiments can be conducted in a systematic manner. Create a platform or bulletin board. Give intrinsically motivated experimenters the same care provided to "sanctioned," large-scale experiments. Start a working papers and presentation series for both researchers and practitioners. We would love to hear your comments on the ideas presented. Yuan Lin, my doctoral student, and I have a paper accepted for presentation at the Annual Meeting of the Academy of Management in San Antonio, Texas (August 12-16, 2011). Lin, Y.A., and Desouza, K.C. “Individuals’ Knowledge Transfer Behaviors and Social Networks: A Co-evolution Framework,” In Proceedings of the Annual Meeting of the Academy of Management, San Antonio, TX (August 12-16, 2011).